Travel Packages & News - Sign Up for KRT Newsletter. Sept 13-16. Enjoy a variety of races, group rides, live music and explore all of Revelstoke has to offer with their incredible mountain biking scene! Takes place at various locations in Revelstoke in conjunction this year with the BC Mountain Bike Tourism Symposium. Sign up for travel packages & news. We value your privacy and never share your information, and you may withdraw your consent and unsubscribe at any time. 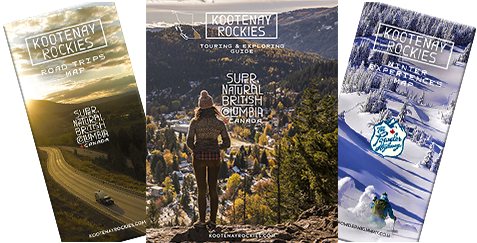 Work, Invest, Live in the Kootenays. © 2019 Kootenay Rockies Tourism All Rights Reserved. Web Design by Navigator Multimedia Inc.